IT’S yet another showdown but where the ones some years ago were confined to personalities within the states, this time it’s again between the prime minister and a royal family. 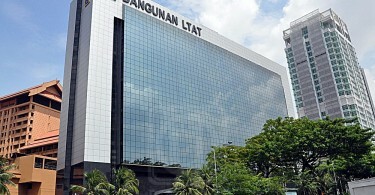 In the first instance in the early 90s, what caused the constitutional crisis was an issue close to the hearts of ordinary Malaysians, something that could be described as being of national interest, one that affected lay people but not this time because it’s confined to one state – Johor – and the difference of opinion affecting something localised. As was the situation previously, statements have been made to defend the positions adopted but what will eventually prevail will be what the law says. Following the resignation of mentri besar Datuk Osman Sapian, the focus next is on who will succeed him and this is where the problem starts, with Prime Minister Tun Dr. Mahathir Mohamad insisting that the ruler has no role in this. Wrong, very wrong. While the process starts with the party in power nominating a candidate or candidates, thereafter the ball is in the sultan’s court, with the ruler having absolute power to appoint his MB. Where there’s no candidate who meets the criteria as specified in the Johor constitution, the ruler also has the power to make dispensation to appoint someone else. So where Johor is concerned, only the start of the process is political. Mahathir even went to the extent of saying that if a ruler is allowed to appoint an MB or PM, then Malaysia has an absolute monarchy, not a constitutional one. He is correct only in so far as the appointment of the PM and the MBs of the other states – except Johor. For the rest of the states there’s a clause in their respective constitutions that is similar to the one in the federal constitution and that is on appointing a person who commands the majority support of the house. The argument stops there. It was due to this clause that Perak’s Datuk Seri Nizar Jamaluddin had to finally relinquish his post in February 2010 (after the Federal Court ruled against him), Datuk Seri Idris Jusoh of Terenganu and Datuk Seri Shahidan Kassim of Perlis had to let go after the 2008 general elections, although reports on what happened in Terengganu were contradictory. What these states’ constitutions do not have is the clause on giving absolute power to the ruler. Surely Mahathir, being PM twice, should be aware of these fundamental issues affecting appointments to high office. It was a similar clause that made him feel hard done by when the former king delayed his appointment last May, doing so only when he was satisfied Mahathir had the full backing of the four Pakatan Harapan coalition members. If the rule of law is what Mahathir has been advocating since becoming PM a second time, it was also this that caused Mahathir to feel furious when the king again delayed assenting to the nomination of Tommy Thomas to be attorney-general to the extent that he met a ruler to ask that his brother rulers be informed that he was in no mood to tolerate a similar situation should it recur. Thus the Johor constitution is the go to point when talking about the appointment of the MB, regardless whether you like it or not. Home Minister Tan Sri Muhyiddin Yassin, a Johor MB from 1986 to 1995, has confirmed about the power of the sultan in this regard. Mind you, Muhyiddin is a member of Mahathir’s cabinet and his party president. So too all the legal opinions reported by various news platforms in the last few days. It’s that (crystal) clear; no ambiguity whatsoever. But despite the provision in the Johor constitution, a confrontation could still be avoided and a compromise possible if both sides have a cordial relationship. The downside for Mahathir though is that he has a confrontational stance vis-à-vis the Johor sultan and his heir, the Tengku Mahkota. 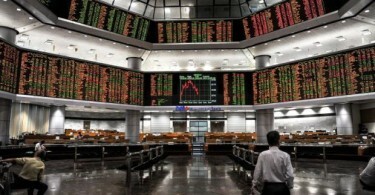 When former PM Datuk Seri Najib Razak decided to nominate Datuk Seri Khaled Nordin as Johor MB after the 2008 election, he first dispatched the late Tan Sri Jamaluddin Jarjis to be his emissary to meet the ruler because there was a personal issue that could possibly derail the nomination. As it turned out the ruler had no problems with that, influenced strongly maybe by the fact that he had known Khaled from school. Sometimes you need to adopt this approach, and again as a veteran politician Mahathir should be aware of an option like this. For the moment it looks like Mahathir has met his match and it’s not even in the form of another man. 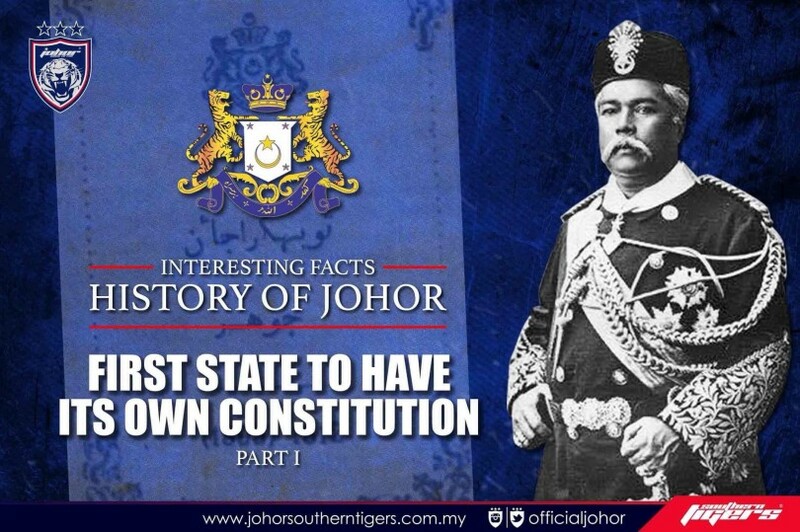 Rather it’s something soft, doesn’t talk back but priceless – it’s the Johor constitution.